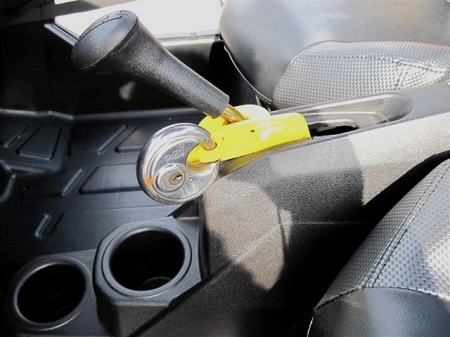 Home > Brands > EMP > EMP RZR Shift Lock "Anti-theft"
EMP RZR Shift Lock "Anti-theft"
Make it harder for someone to swipe your ride with this steel shift lock from EMP. The bracket for this lock bolts under your shifter housing and once a padlock (not included) is put in place the RZR is locked in the park position and the housing cannot be removed. This product is heat treated and is made from stainless steel and AISI 1040/1050 steel, making it extra strong and the steel has been texture black powder coated (picture with yellow for visibility). So give yourself a little security, now it will just be easier to steal someone elses' RZR. - EMP items usually ship in 1-2 working days. - Will Fit: All make and models of the Polaris RZR. - Made with stainless steel and AISI 1040/1050 Steel. - Steel has been hardened through heat treatment. - Texture black powder coated. - Padlock is NOT included. - Bolts under shifter housing with included hardware. - NOTE: Product has been pictured in yellow for visibility, you will receive black powder coated lock. Q: Will anti theft shift lock work on sportsman ace? A: No I don't think so, the manufacturer does not list the Ace as an option. Q: can the razor be driven with the hardware in and unlocked? 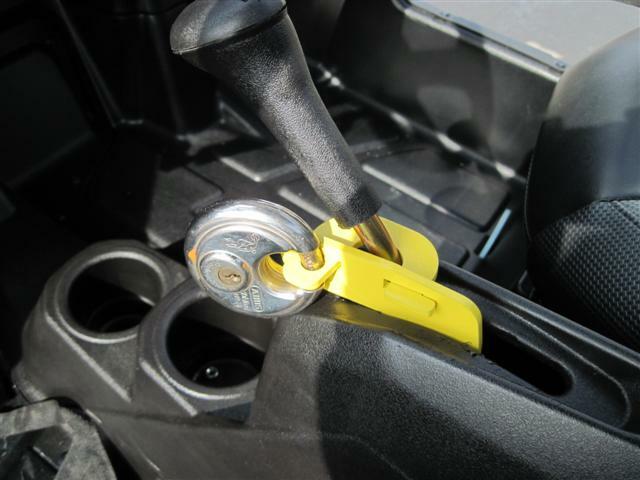 A: No, you would want to remove the hardware so you can move the gear shifter.